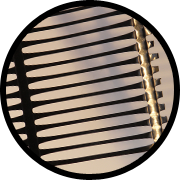 Uniaxial geogrid: with long grid openings, suitable to take up unidirectional loads. 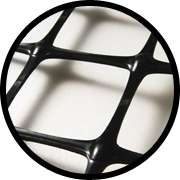 Biaxial geogrid: with square grid openings, suitable primarily to take up bidirectional loads. 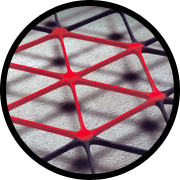 Triaxial geogrid (Triax): with triangular openings, capable of taking up loads or an y direction arising in the plane of the grid.